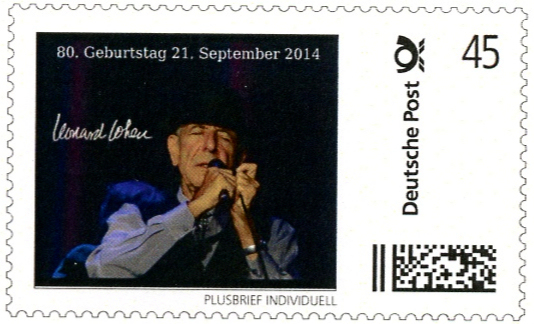 Personalized stamp designed and produced by Heidi Schwarz, Germany, to celebrate Leonard's 80th birthday. Printed by Deutsche Post. Photo from the Pula concert in 2013 (also by Heidi). and printed by the Finland Post. 10 years ago! I can hardly believe it. I remember so well! Not quite like yesterday, but more like just a few years ~ not 10! These crop up on eBay on a regular basis, listed by an Australian. Does anyone know anything about them? Are they genuine? I did once search Canada Post but couldn't find any reference to them. I seriously doubt if those are authentic Canadian stamps. Our stamps never say "Canada Post" but just "Canada" and the stamp amount does not include the dollar sign "$" but just the numbers (those are also not typical prices for stamps, either...). The fact that the images on the stamps are also fairly well-known photos of Leonard that are easily available online makes it even less likely that these are authentic. Canada post would commission their own images for their stamps, not use photos off the internet! Thanks for your input Lisa. You make a good point about the photos. I think there is a good chance that some at least of these images are copyrighted. BTW As far as I can tell, they say "Local Post", not "Canada Post" leaving open the possibility at least that they are genuine Australian stamps. Wendy, I can't say for absolute certainty but I don't think they are over the counter Australian stamps. If they were on sale to the public I feel I would have seen them if that was the case; not that I send many letters etc these days. Maybe they were special (of course) issues. If there was any indication when and where for sure they were printed it could define if they are genuine or not. Maybe other Aussies can verify it either way for you. One interesting thing I have noticed is that each of the six different vertical strips of images appear to be torn exactly to the nth degree in the same way from the sheet they individually came from. If so, seemingly a physical impossibility ..... but having said that overall things may not be as they could appear. Those stamps are false, all of the ones he has for sale. The clue is in the bottom 'Local Post' tear off section. Buy if you wish, but they will not pay postage anywhere in the world. Anyone can print labels such as these, but they have no postal validity. 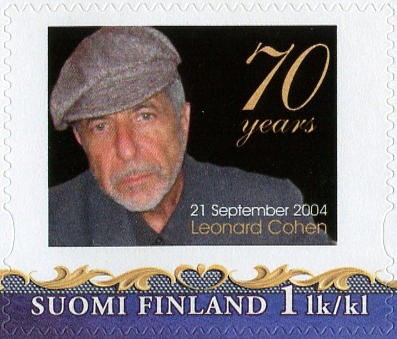 I've been a stamp collector for twenty years, and a lover of Leonard for 45.